Apologies for the lateness of the FMO this week, my excuse is a rather apt bout of illness, where some of the alveolar bone of my mandible has been lost due to an infection, leaving me feverish and thoroughly miserable. There was a fascinating discussion about the possible identification in the comments last week, so a big ‘thanks!’ to all of the contributors who provided their informative observations (too many to mention everyone by name!). A mustelid of some sort was quickly agreed upon and the general consensus moved towards an otter of some kind, before starting to drift away again. Alright . . . instantly the foramina on the mandible anterior to the premolars scream Otter! However, the incisors don’t. The incisors just lateral to the canines should be larger and longer than any of the other incisors among the otters (even the Asian Short-clawed Otter). Now my identification for this specimen was indeed Asian Short-clawed Otter Aonyx cinerea (Illiger, 1815), so this comment made me a bit concerned. However, on checking some images online I realised that the long lateral incisors are present in the premaxilla, but not the mandible – an easy detail to miss. Anyway… The talonid on the first molar of the one in the picture is BIG. 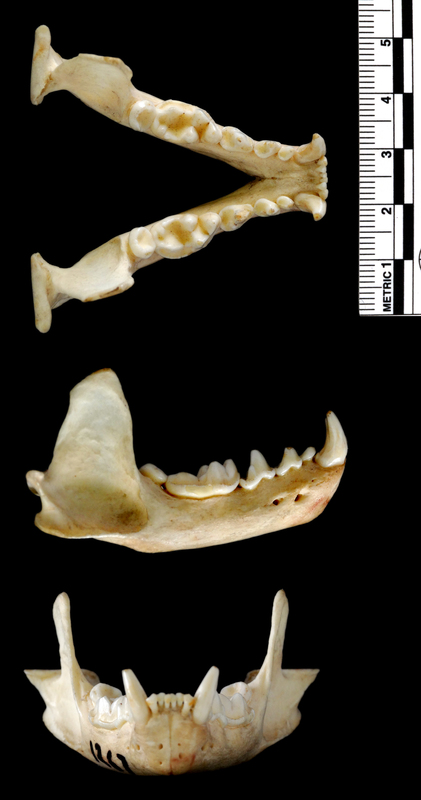 The reason I found this comment useful was that the long and broad talonid (that’s the flatter grinding section on the molar) is what confirmed the Asian Short-clawed otter identification for me (although the small size was a good first clue). 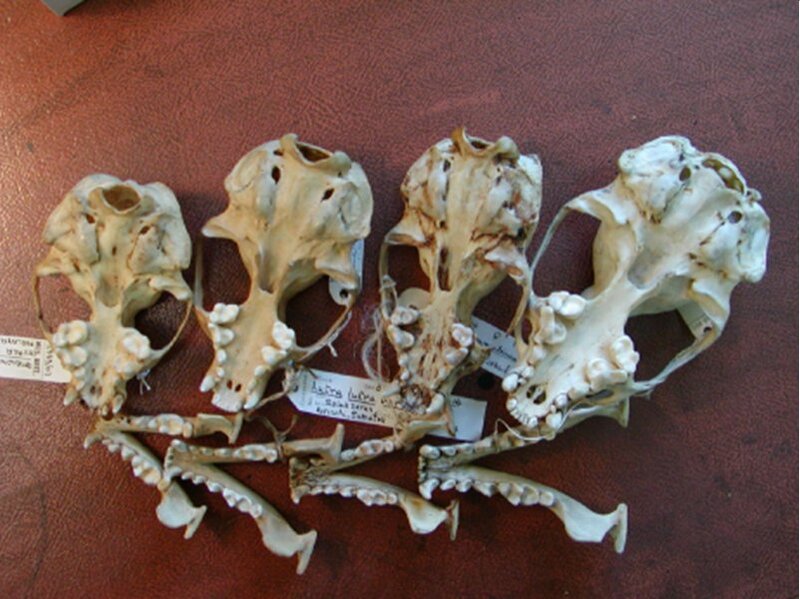 This became quite clear from an image on the Otter Specialist Group webpage. The Asian Short-clawed Otter presumably has this large talonid because it has a diet mainly composed of crustaceans rather than fish, and it needs the extra crushing area on the molar to crack open tough exoskeletons. Who would think you’d get teeth as formidable as these on such an adorable little critter?